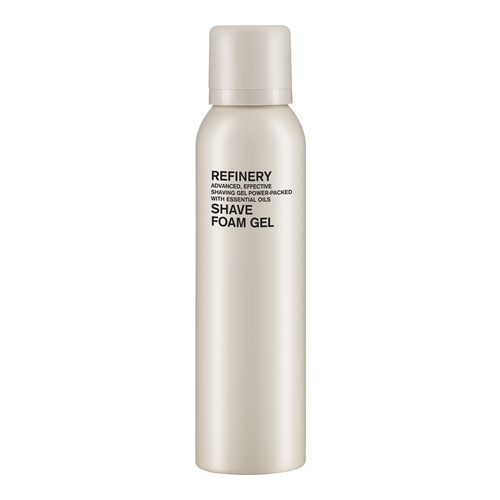 A shave foaming gel that protects the skin from razor burn. For those more comfortable shaving with a gel than an oil, this rich foaming shave gel helps to protect against razor burn and nicks for a close, comfortable shave. 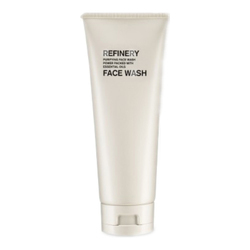 Contains Clove and Peppermint for a spicy, minty effect as well as fresh Aloe Vera, which adds moisturizing and soothing properties. • Massage gel onto wet skin to produce a rich foam. 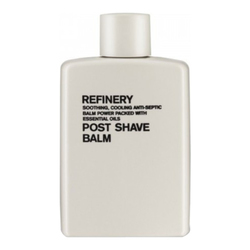 • Shave, rinse thoroughly then apply Refinery Post Shave Balm and appropriate Refinery moisturizer.